The Gosford Aquifier Tri-flow tap from Abode gives you hot, cold and filtered water all from one well designed tap. 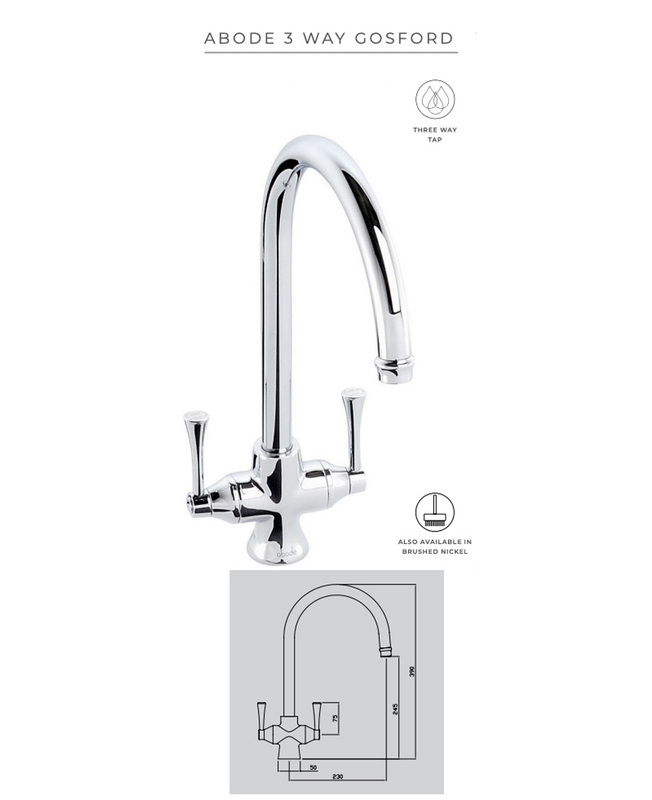 Crafted with two levers each side of the tap to operate the hot and cold water. For filtered water simply move the cold lever backwards. This tap is suitable for both vented and unvented water systems.